The Left is doing all it can to stomp out Christianity. It is past time for the faithful to fight back. 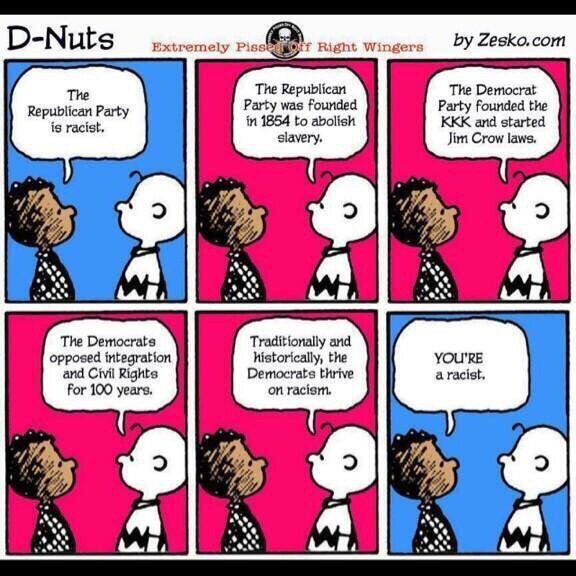 Republicans and Democrats switched ideologies in 1965. so CURRENTLY the Republican party is racist. I’d like to see some specific Republican actions that are purely based on race. I can’t find any myself. Can you point me in the direction of these legislative actions?